A few months ago we integrated 4 econobum prefold cloth diapers into our bumGenius 4.0 stash as there was a good sale over at Cotton Babies and we had 12 diapers that weren't quite cutting it when Nia double #2-ed or we were behind on laundry. We were able to purchase 4 econobums for just under $20! I had read mixed reviews on prefolds, which have in insert that lies on top of the cover vs. being stuffed in. I'm happy to report that the econobum's have actually performed better than the bumGenius 4.0. We've tried various snaps on the bumGenius but suddenly Nia started leaking from them about two months ago throughout the day - not even during nap time. I change her pretty frequently too, about 1x every 2 hrs. I think the key to the econobum's success is #1) the waterproof-plastic type cover and #2) the thickness of the prefold. It has ridges so it seems to absorb more pee. We refer to them as her "nighttime" diaper and make sure she's in them especially when she goes to sleep. We still use the bumGenius but we put a newborn insert on top of the regular one and it works much better but doesn't eliminate all leaks. For the cost, I highly recommend them! Mr. Love Bird even says he likes them much better especially because he doesn't have to take the extra time to stuff them. 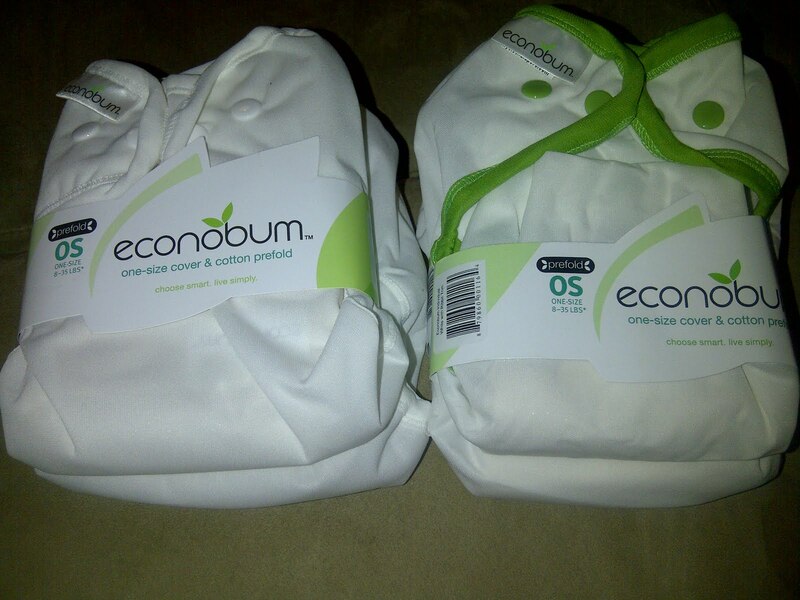 If you're looking for an effective, affordable cloth diaper, I highly recommend econobum; keep checking back on Cotton Babies for sales (ours were buy one get one free!). P.S. You can find our last cloth diaper update here! As we continue TTC, we have had these discussion about cloth and disposal diapers. I am for the cloth diapers, but the hubby is not so convienced.